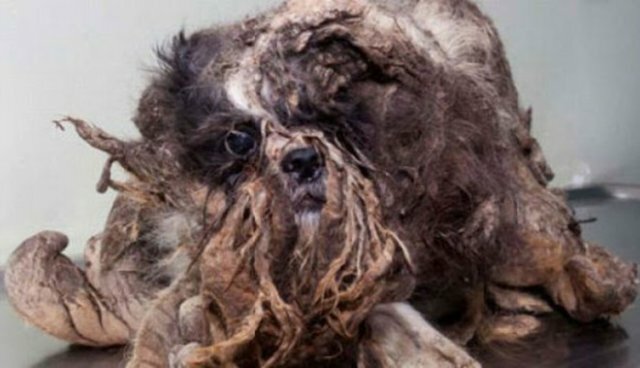 Found wandering the streets of Montreal, Quebec, a passersby thought this poor pooch was a pile of trash before realizing that he was actually a dog. 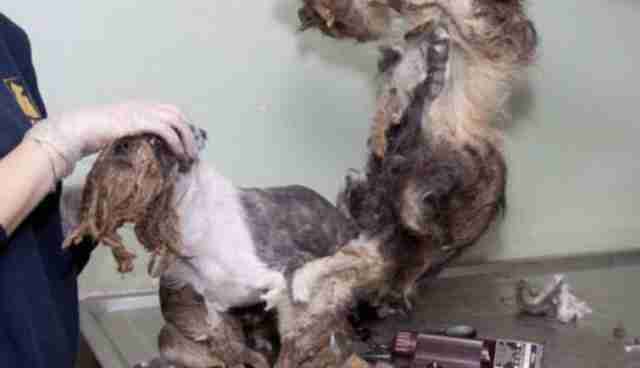 After quickly calling the Quebec's Society for the Protection of Animals (S.P.A Canada), rescuers gave the neglected pup an intense grooming session. 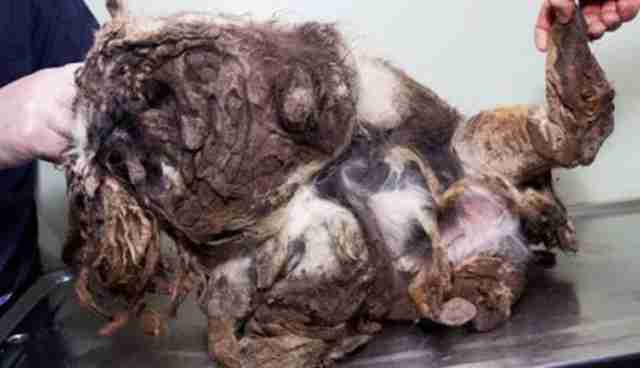 Completely unrecognizable, rescuers estimated that the dog's filth-matted fur accounted for over 50% of the dog's size! 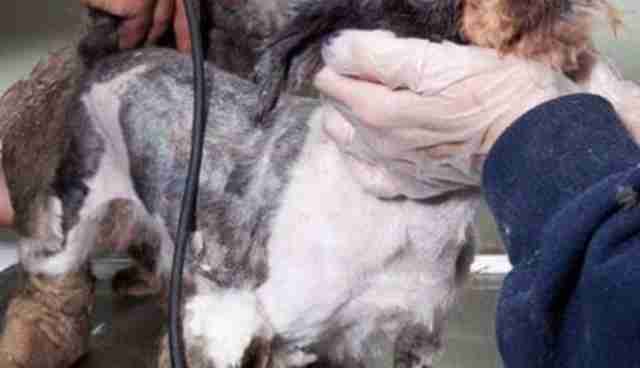 As the fur came off, it was revealed that the pup was actually a small Cavalier King Charles Spaniel. 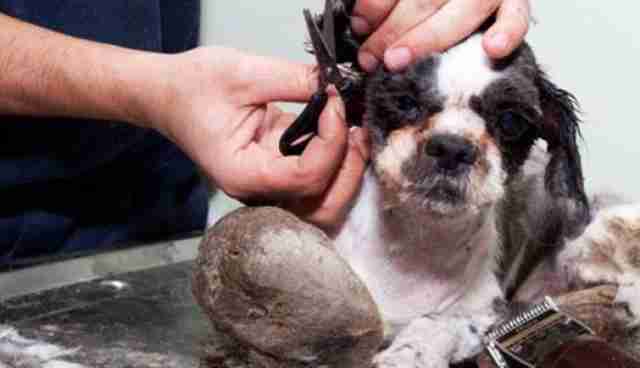 Due to the weight and severity of the dog's matting, grooming proved to be trickier than his rescuers anticipated. 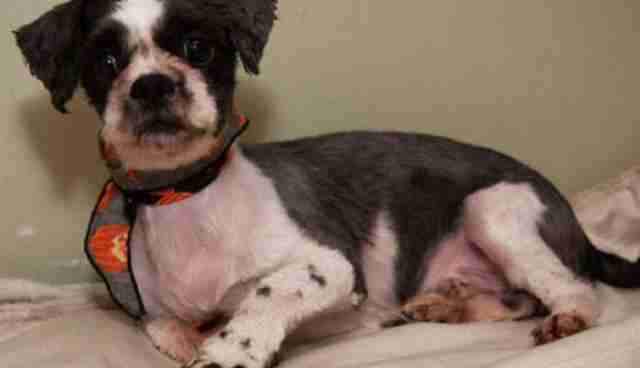 Finally, after the extensive grooming, a dog was revealed! The pup is now safe and currently being cared for by the Canadian S.P.A. until he is healthy enough for adoption. The real tragedy is that there are an estimated 600,000,000 stray animals throughout the world in need of a home. In the United States alone, it is estimated that between 6-8 million dogs and cats are euthanized every year. Find out how you can help prevent the overpopulation of companion pets.